What if we told you that you could explore the highest peaks in Asia, go on a safari through the rich savanna grasslands of Africa, fly on the back of your very own banshee, and travel back through time to the age of the dinosaurs? You can do all that (and more) at Disney's Animal Kingdom. Animal Kingdom has worked hard since its opening to overcome the impression that it is "just a zoo," and the recent opening of Pandora - The World of Avatar has helped to take this park from a half-day experience to a full-day adventure. You don't want to go into Animal Kingdom without a good plan, though. 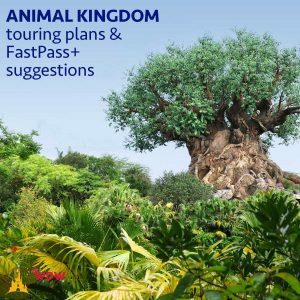 How many days should I visit Animal Kingdom? 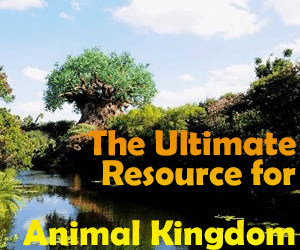 How much does parking at Animal Kingdom cost? What should I bring with me to Animal Kingdom? Can I bring food with me? Can I bring my selfie stick? Can I bring my tripod so I can take pictures? I heard the lines are long. Can I bring a folding chair with me to sit in while I wait? 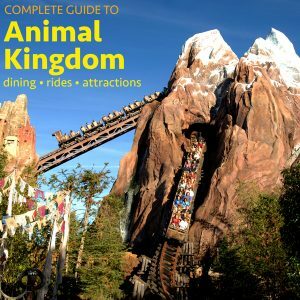 Why no balloons or straws in Animal Kingdom? 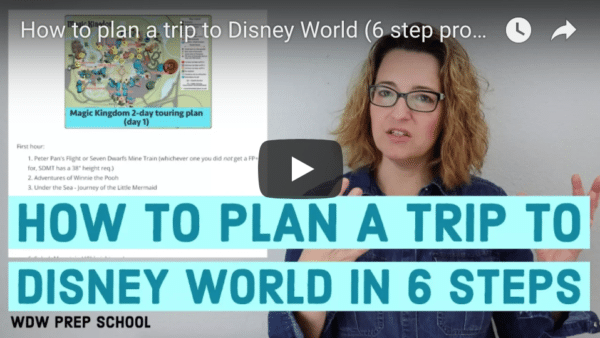 For most trips there simply aren't enough days to see and do everything at Disney World, so deciding how to divide your time is an important step in planning your stay. The table below has suggestions for the number of days you should plan to spend at each park, but depending on your family's tastes and interests you may want to adjust how you allocate your time. Want a map you can download? 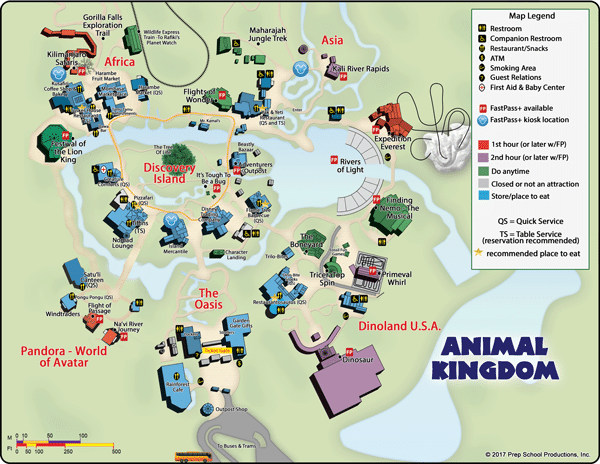 Check out this PDF map of Animal Kingdom. WDW Prep Members can also get maps of each park that print out on 1 piece of paper and show when to visit each attraction. Thinking about driving at Disney World? Parking is quick and painless and a good option if you'll have your car on your vacation. All parking lots are staffed with an abundance of Cast Members that will help direct you to your spot. If you park too far away from the front gate to walk, there will be handy trams to shuttle you back and forth from the end of your row to near the front gates. Want more tips on driving? Check out our post on using a car at Disney World. Since Disney allows you to keep your bag with you on every attraction, many people find it handy to carry a bag or backpack with them into the parks. What you pack in your backpack will vary on your age and who you are traveling with but to help you decide what you might want to bring we have an entire post dedicated to Disney World park bags. Yes! You can bring your own food items with you. The only restrictions are no glass containers (baby food is an exception) and no alcohol. Also, for the safety of the animals, no straws are allowed at Animal Kingdom. Yes, small coolers are allowed; however, the total size can't exceed 24" b 15" by 18". We recommend bringing a cooler small enough to fit into a locker or in the bottom of a stroller (note: beginning 5/1/19, loose ice and dry ice are not allowed in the parks, so you will need to use an ice pack or something similar if you plan to bring cooled items). Items that can be pulled behind you are not allowed at Disney World, and that includes wagons. Sorry, but no. Selfie sticks are banned at all Disney World parks, including Animal Kingdom. Tripods (and monopods) that are small enough to fit in a backpack are allowed. Folding chairs are not allowed, and we'd never want you standing in a line long enough that you'd need one! Make sure you read the touring plan information below so that you avoid standing in long lines. Unlike the other parks, Animal Kingdom is home to a plethora of animals and their safety is a top concern. Because of that, anything that animals might accidentally ingest are banned, and that includes balloons and plastic straws. Paper straws are available at all dining locations. Check out this guide for attraction details, including when to visit each one, ride videos, height requirements, and more. For every park at Disney World, some days are better (read: less crowded) to visit than others. 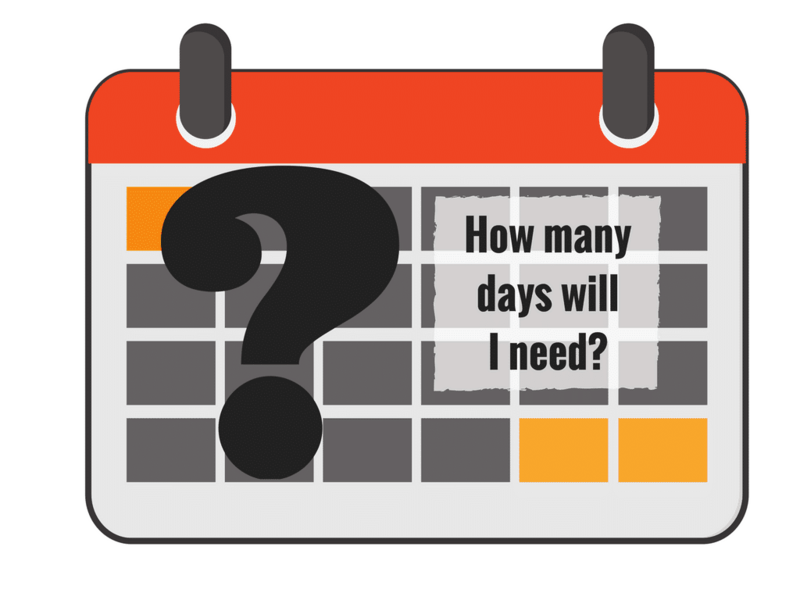 We have put together crowd calendars that use an easy-to-understand, color-coded rating system. 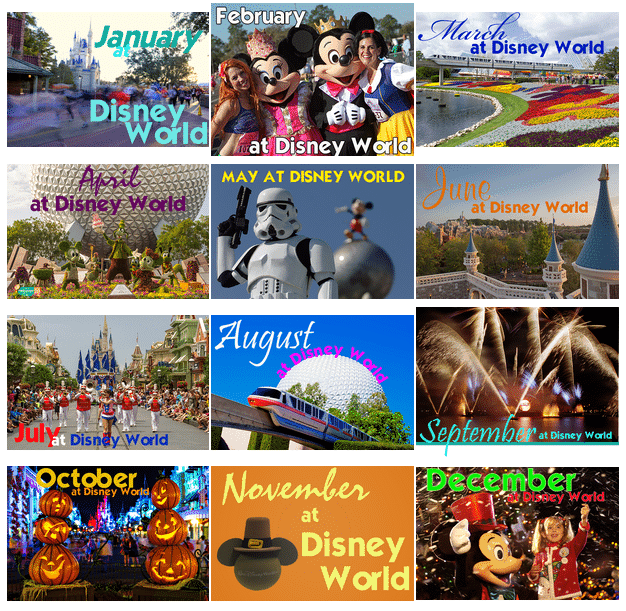 These handy crowd calendars also include park hour and entertainment information, and they can be found on the Monthly Dashboard that corresponds to your travel dates. Once considered a half-day park, Animal Kingdom now has plenty to keep most families busy for an entire day (or more). Animal Kingdom doesn't have tiers the way Epcot and Hollywood Studios do, but it does limit you to only 1 FastPass+ for rides in Pandora per day. Don't know which attractions you should pick? Check out the information in the section above first to see which will work best for your family. Rivers of Light is the new nighttime show at Animal Kingdom. There are several different ways to see it (standby, FastPass+, or dining package) so knowing which way is going to work best for your family is important. 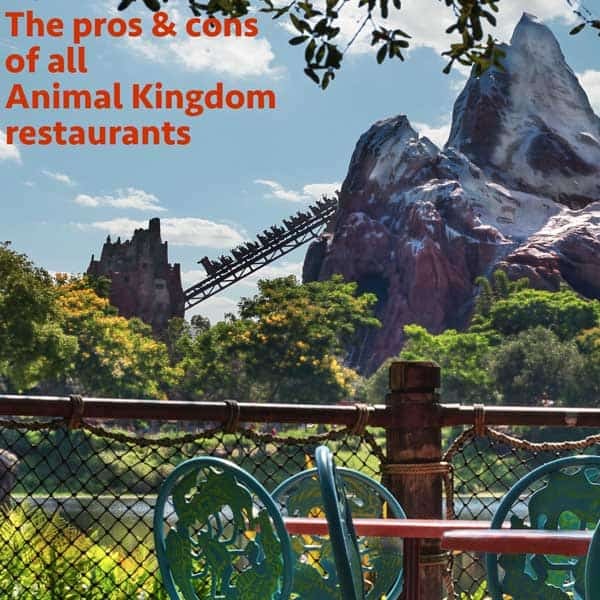 Disney does a good job overall in making sure guests have a variety of options to choose from when dining (and not limiting you to just "theme park food") and this is especially true when visiting Animal Kingdom. Here you can find some of the most unique entree options at the newly opened Tiffins and Satu'li Canteen. 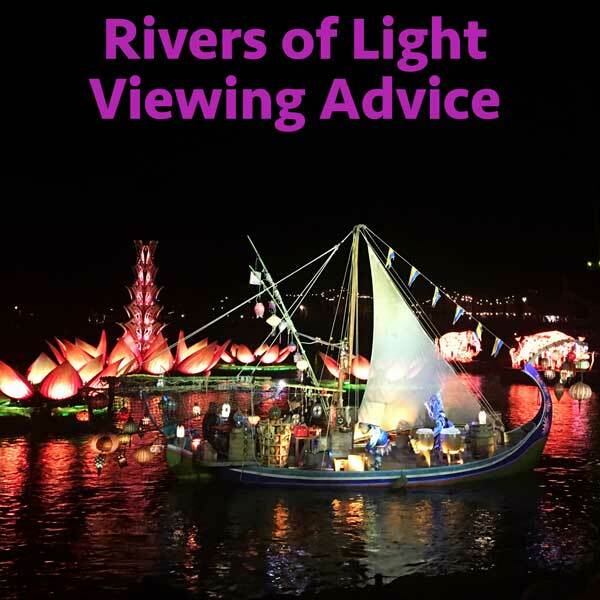 Interested in the Rivers of Light Dining Package? Since it is offered at several restaurants it is good to review all your choices before you pick just one. Getting around Disney World property can be intimidating if you've never visited before, but we lay out all your options for traveling to and from Disney's Animal Kingdom. We've included information on Disney World buses and boats, Uber and Minnie Vans. Did we leave anything out? Let us know your questions in the comments below.